​Atlanta United have placed a £23m price tag on midfielder Miguel Almiron as Newcastle United look to bolster their attacking options. It is thought that the Paraguayan has been on the top of manager Rafael Bentiez's wishlist as he looks to add more Premier League quality options to his squad. Negotiations for Almiron began six weeks ago, with Benitez reportedly eyeing a creative midfielder more suited to Premier League life than Ayoze Perez - who has failed to find consistent form since the Magpies returned to the top flight 18 months ago. Newcastle have made contact with Atlanta over a potential transfer for the 24 year-old, but their initial approach is considered much lower than Atlanta's estimates, according to the ​Chronicle. 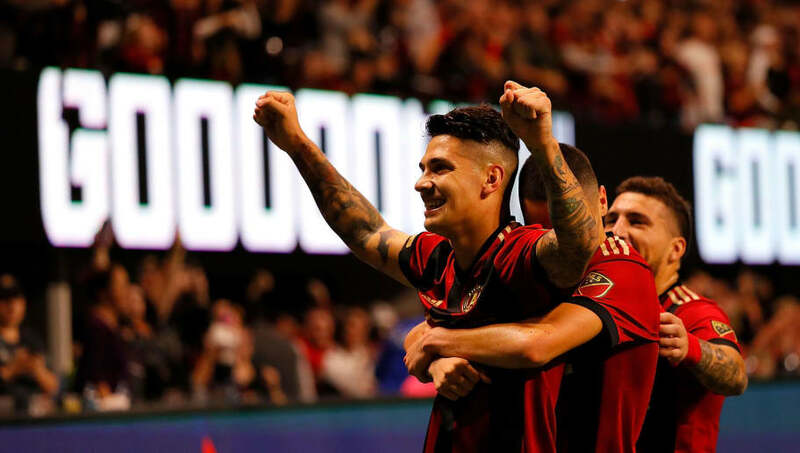 For Atlanta to approve the move it would take an offer significantly higher than anything that the Magpies are willing to consider, with any chance of the transfer being completed by next week's transfer deadline looking remote. It is unclear yet whether or not Mike Ashley would be willing to sanction any improved offer for the Paraguayan international, who has also attracted interest from ​Tottenham Hotspur, but the clock is ticking ever faster. Newcastle are currently in talks with Lazio about loaning full-back Jordan Lukaku - younger brother of Manchester United's Romelu Lukaku - until the end of the season, whilst also contacting Monaco over the availability of Antonio Barreca. It remains to be seen if these deals can get over the line before the deadline on January 31st, or whether either or both of these positions being reinforced would go any way to relieving some of the anger directed toward Mike Ashley, whose team sit just two points clear of the relegation zone going into their FA Cup fourth round tie with ​Watford on Saturday.